Bike Rides at the Red Wing Roots Music Festival! Harrisonburg’s favorite band The Steel Wheels is hosting the 2nd Red Wing Roots Music Festival on July 11, 12, and 13 at Natural Chimneys Park near Stokesville. The Steel Wheels love bicycles and have toured multiple times via bicycle pulling their instruments along for the ride. Tickets are available now, and selling quickly, so we suggest you go ahead and make a purchase to reserve your spot at what promises to become a classic Valley summer tradition. 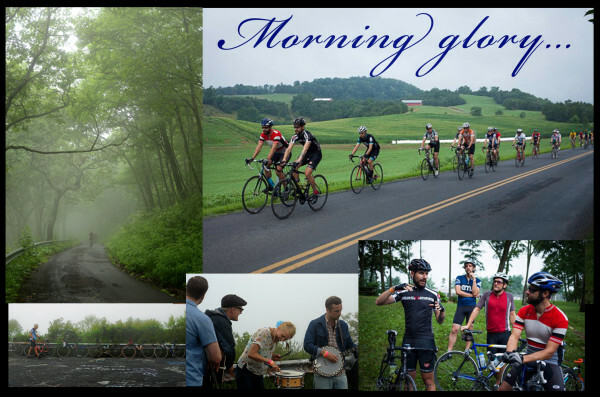 In keeping with The Steel Wheels’ passion for bicycles, the Shenandoah Valley Bicycle Coalition will be organizing and leading group bicycle rides throughout the weekend. If you’d like to volunteer to lead a ride, please contact Kyle at [email protected]. We will have four glorious rides for festival goers to choose from, but these rides are FREE and open to EVERYONE so please come on out even if you don’t plan on staying around for the music. 8:00 AM Intermediate-Advanced Road Ride (40 miles including climb to top of Reddish Knob): SVBC supported ride to the top of Reddish Knob. Perks include a nice spread at the top of the climb, and a short set of acoustic music. Suggested Donation OR Ride Fees collected. 8:30 AM Mountain Bike Ride (approx. 10 miles): 2-3 hours including transportation time to and from trail. Group ride led by SVBC designed to highlight exciting new mountain bike projects in the area. This ride will showcase the SVBC trail work on Narrowback Mountain. More information at www.redwingroots.com/biking or www.svbcoalition.org.